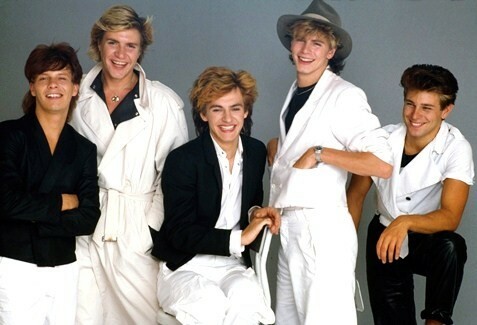 Happy Duran Duran Appreciation Day ! So many holidays lately, but of course this one is made for me! Today, August 10th, is Duran Duran Appreciation Day, but which day isn’t? 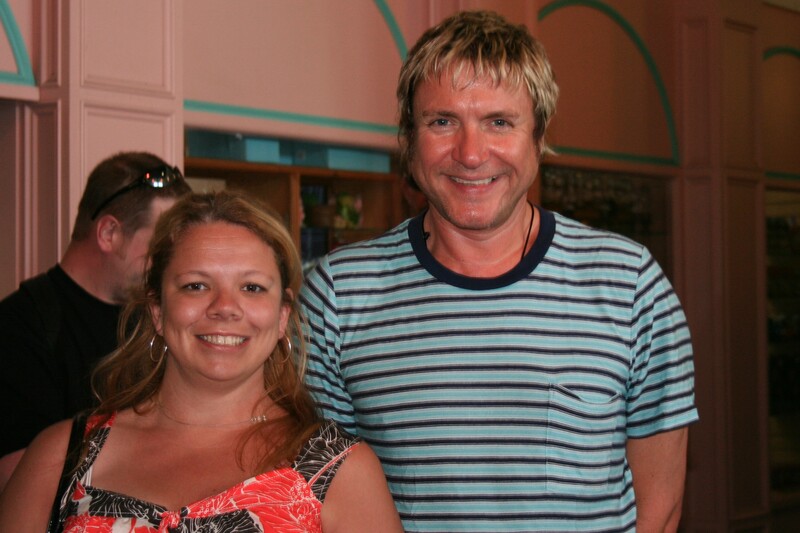 I am getting excited for an upcoming trip to Biloxi to see them, and will probably have a Duran Duran dance party tonight with my bestie to celebrate. 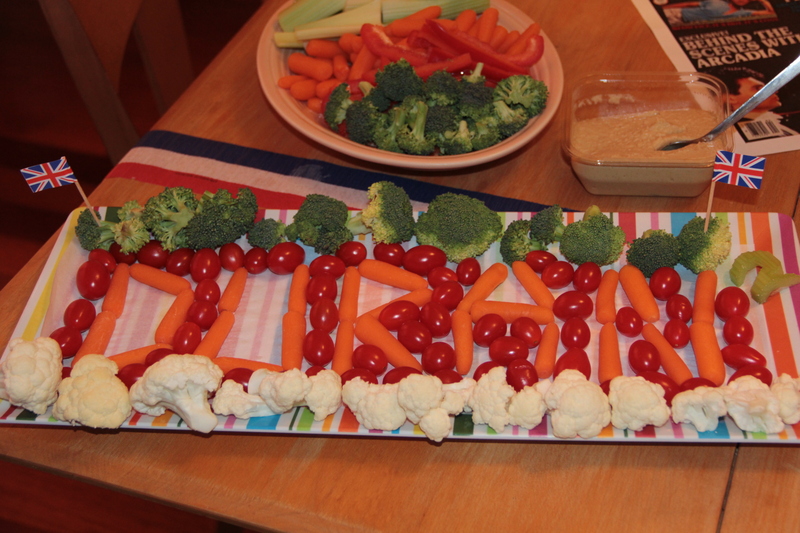 So all you Duranies, break out the old albums, buttons and t-shirts and maybe make a Duran Duran themed vegetable platter. I will find any excuse to dress up or have a party, but this was a good one. 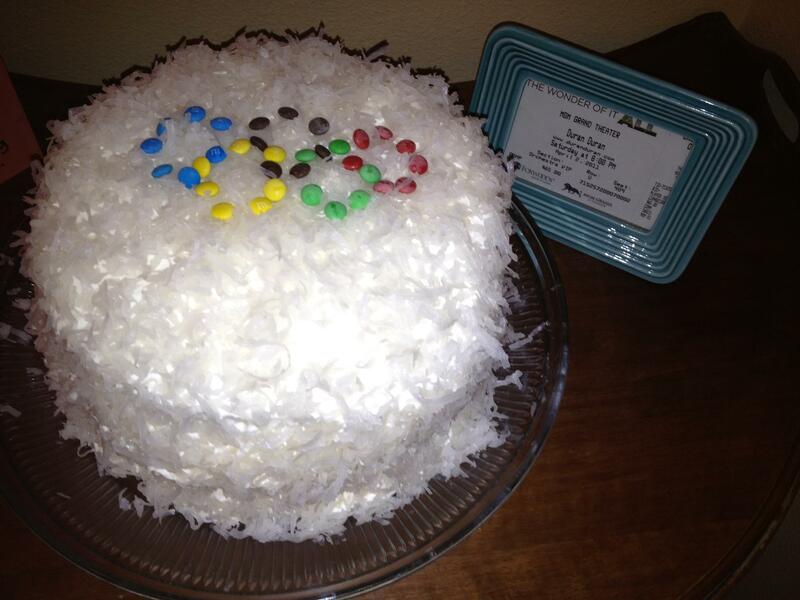 My favorite band, Duran Duran was doing an Olympic concert, my birthday was a couple of days away and the opening ceremonies were on TV. Unfortunately the concert was not televised but that didn’t stop me. 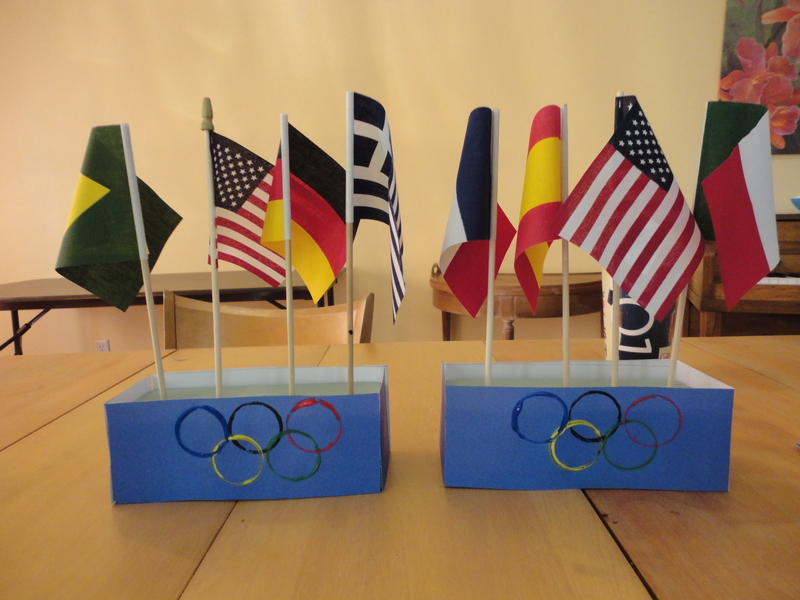 First the decorations, I decided to go international, I made some easy flag centerpieces from styrofoam and dollar flags from the party store.Cover 2 rectangular styrofoam blocks with colored paper. 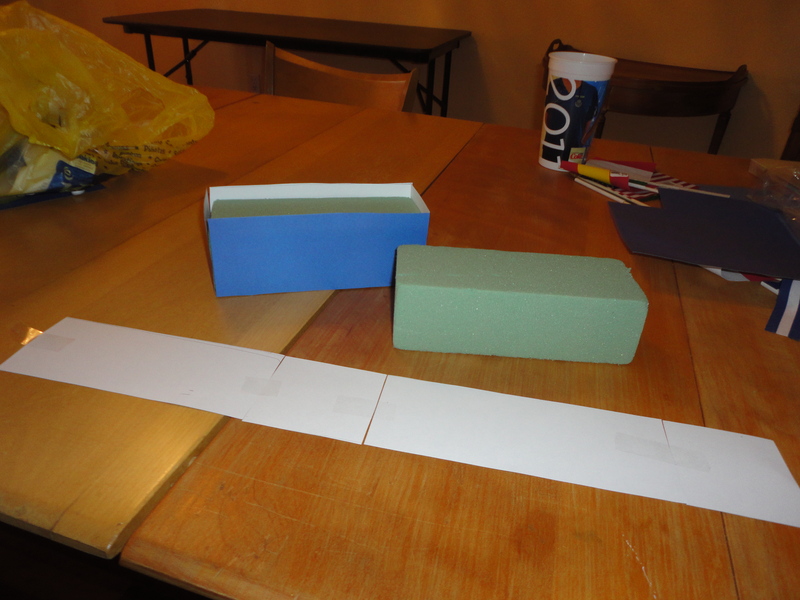 I cut the paper and used tape at the joints so it would bend around the styrofoam so I could reuse them for another party. 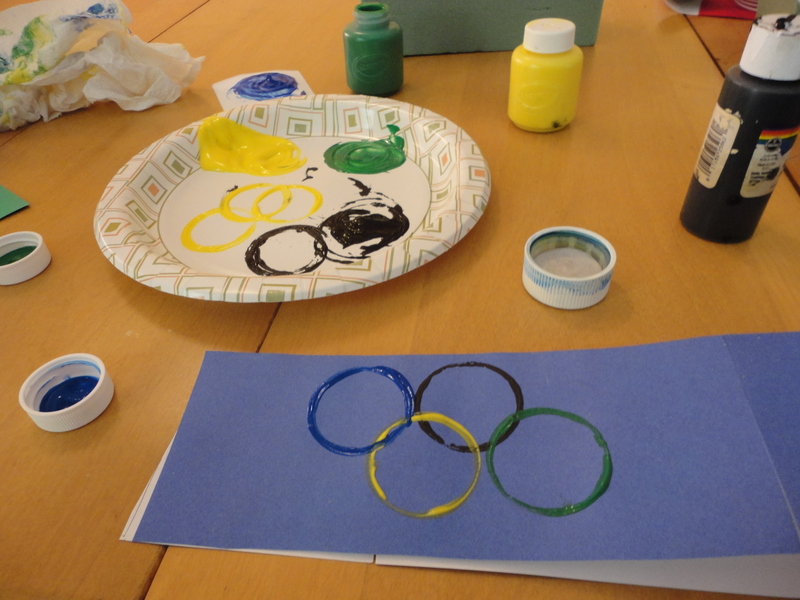 I also painted the olympic rings onto the paper using a top to a pill bottle and paint and then stamping it onto the paper. 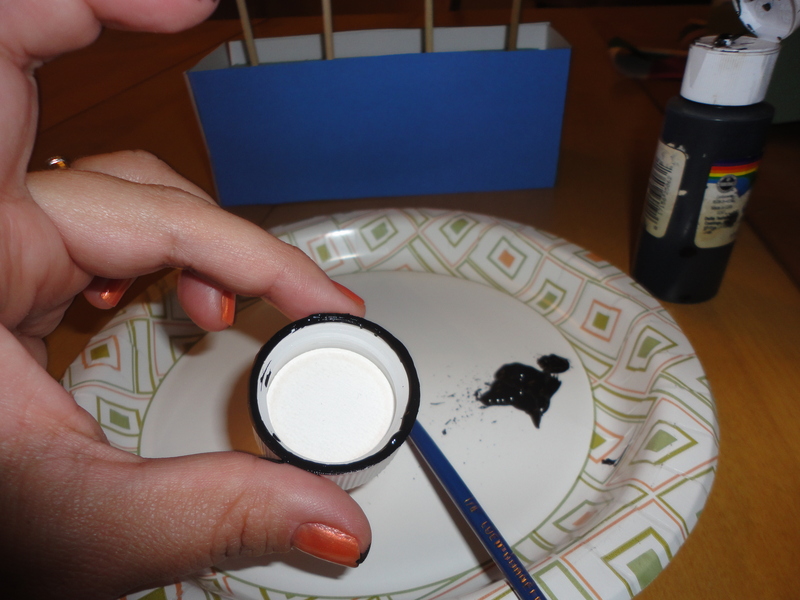 Paint around or dip the bottle top into paint and then use like a stamp. insert your flags into the styrofoam and then you could pour colored glass or pebbles over the top of the styrofoam to cover it ( I forgot to do this step on mine). Paper crinkles would also work. 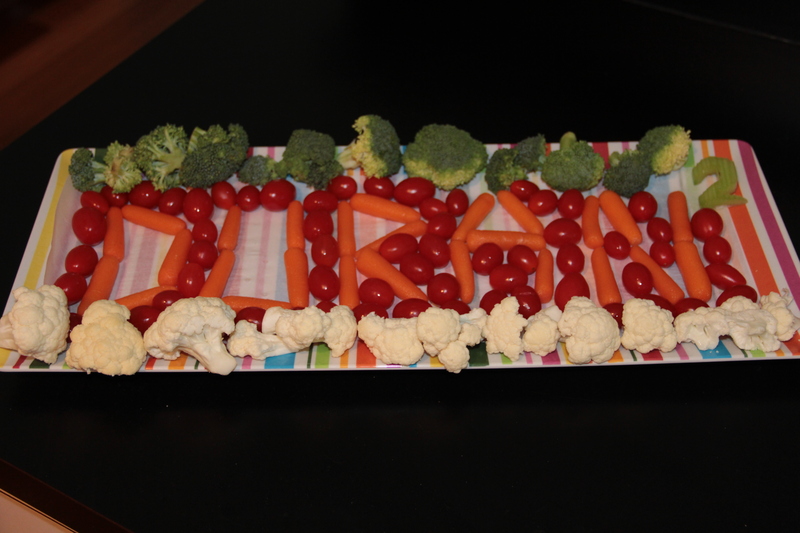 Spell out your favorite team (or band) with vegetables. 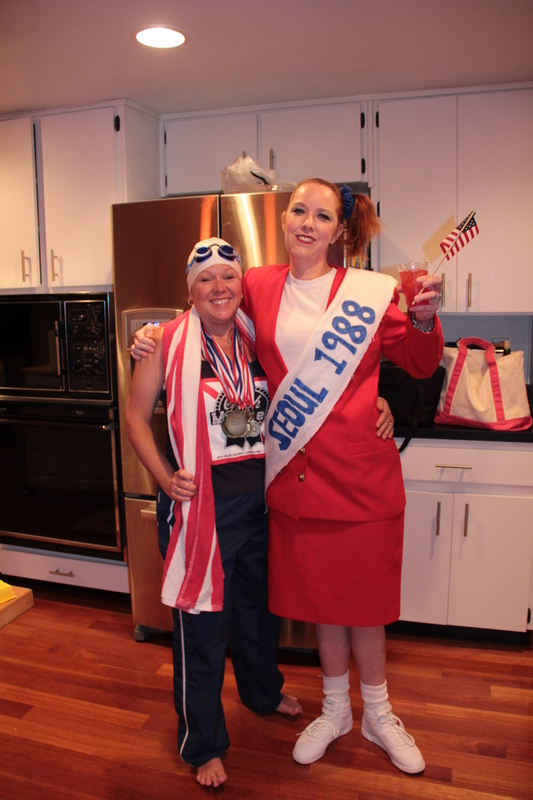 and of course there were costumes and medals. 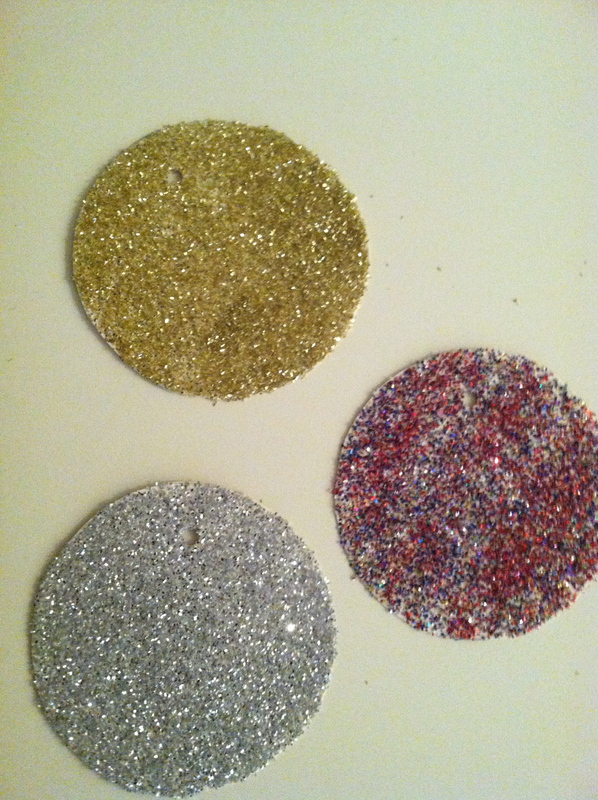 Buy some at the dollar store or make your own with paper circles, glitter and ribbon. 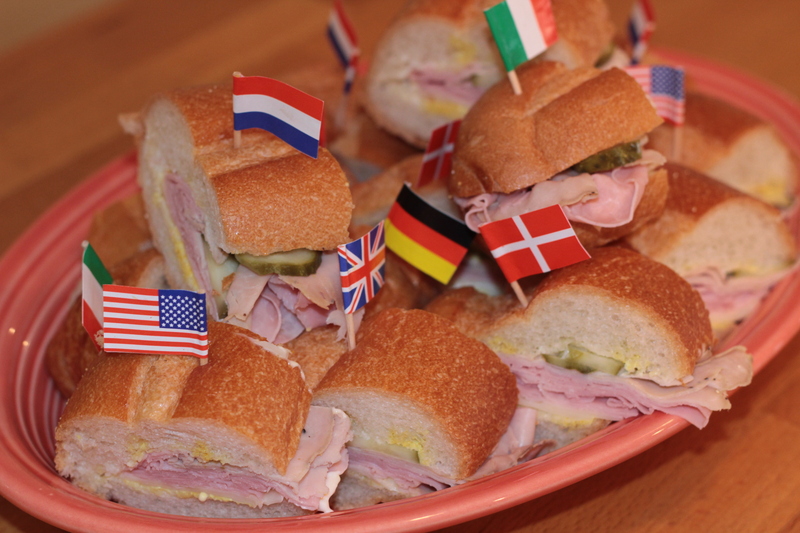 Dress as your favorite athlete, event or country and have fun! 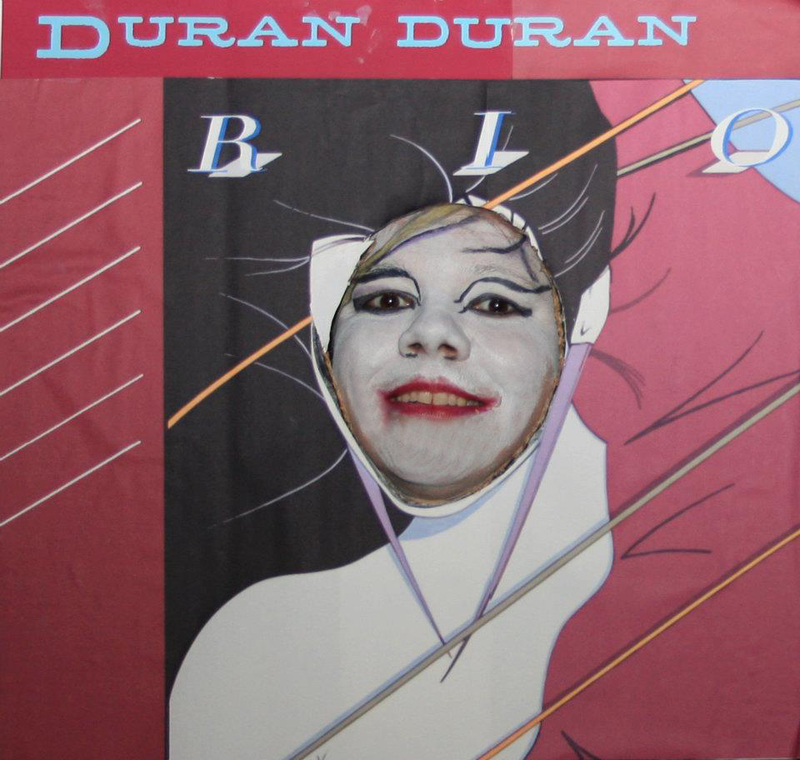 Ok if you got the title of this post then you already know I am a Duran Duran Super Fan. It’s not something I am necessarily proud of, but it is who I am. I got their cassette for Christmas when I was 10 or 11, and immediately I fell in love. I plastered my walls and ceiling with their posters, bought every book, video and record they sold. Made people drive me by Simon’s mom’s house, I was lucky enough to live in the same city as she did (but I bet she didn’t feel the same way). Every thought and action in my pre teen life revolved around the fab 5 in some way or another. I was what you might call obsessed. Every day I would watch MTV hoping to catch a glimpse of Simon’s baby blue eyes, listen to the radio trying to get any kind of tidbit of gossip about themand all of my friends had to like Duran Duran or they were traitors in my book. Then slowly there became a time when I sort of left them. I cheated on them with The Smiths, The Cult, The Pixies, I traded my jazz shoes for Doc Martens, I even got married and had two kids. They were always my first love though, the one I could never forget. Once my kids started to get a little older and I could stop listening to Disney songs for entertainment, I came back. It started slowly, I would listen to a CD here and there, google them on the internet, download the dance mixes onto my Ipod, and well then it kind of got out of control. I like to think that it doesn’t rule my life like it did when I was 12 but there is evidence to the contrary. I follow, John, Simon, and even Simon’s dog on twitter (it is the only reason I signed up for the service). I plan many trips around Duran Duran concerts. I will think nothing of leaving my husband and kids if I get good seats in another city, state, or even country. I still scream like a 12 year old girl when I see them. I will push my old and decrepit body all they way to the front row every time, pushing the young whipper snappers out of my way in the process. I have even climbed over walls and across seat backs in heels to get there. I justify it by my age and commitment, I have earned front row seats even if my ticket says otherwise. I am 40, the ushers don’t scare me anymore. (And by the way front row at a sold out Madison Square garden concert is totally a bucket list moment.) Pictures are worth a thousand words right, this was my Halloween costume last year. 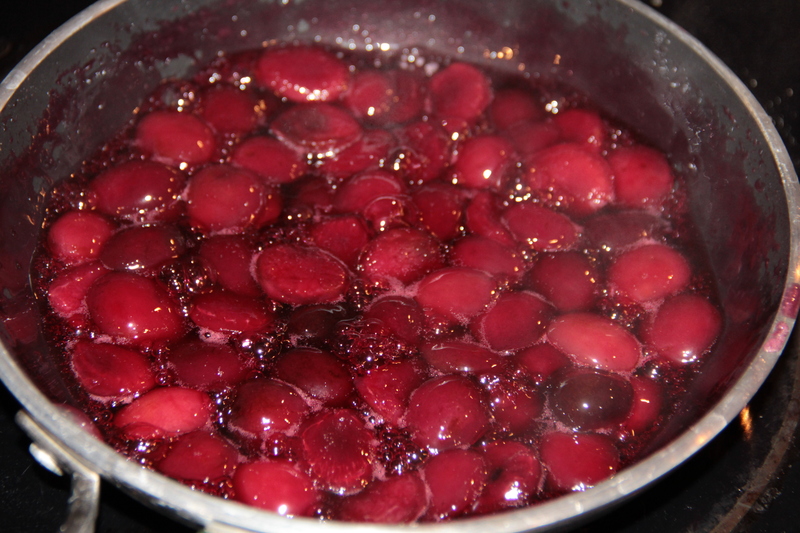 Add cherries, sugar and water to a small pan, bring to a boil and simmer until cherries start to soften and liquid becomes syrupy. Add rum and salt, bring to boil again and then turn off the heat. 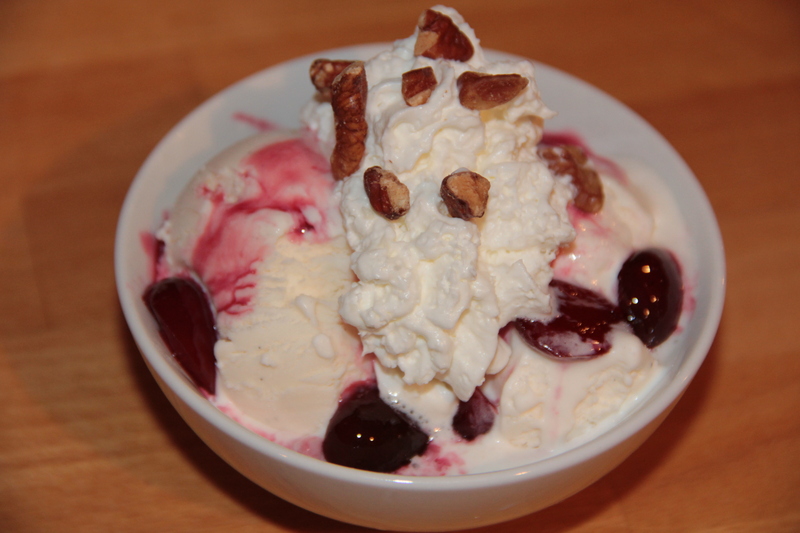 Serve over ice cream with whipped cream and nuts if desired. Just indulge me on the title, I was at the Elvis Costello concert last night. I got the tickets last minute and was excited but it was on a Tuesday and I still had to make dinner for the kids and us before we went to the show. I didn’t want anything too heavy, there might be dancing and drinks to be had. But I still wanted a one pot type meal that I didn’t have to worry about and that was easy to clean up. 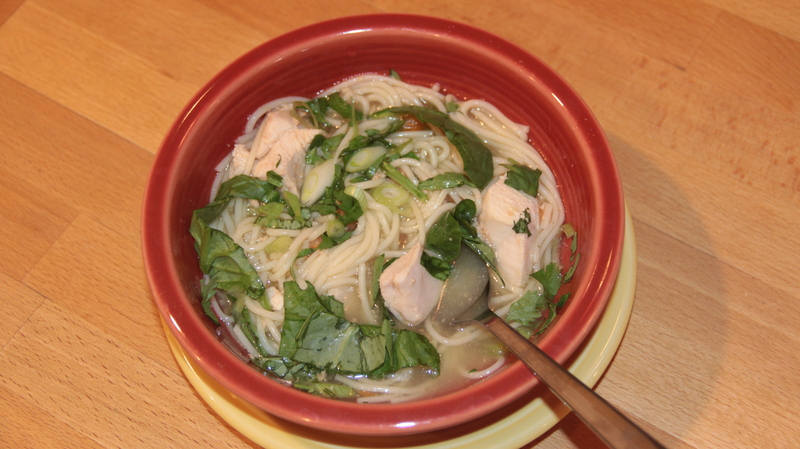 This soup has a light tasting, gingery broth and the fresh herbs and vegetables give it flavor and texture without weighing it down and its relatively quick and easy. 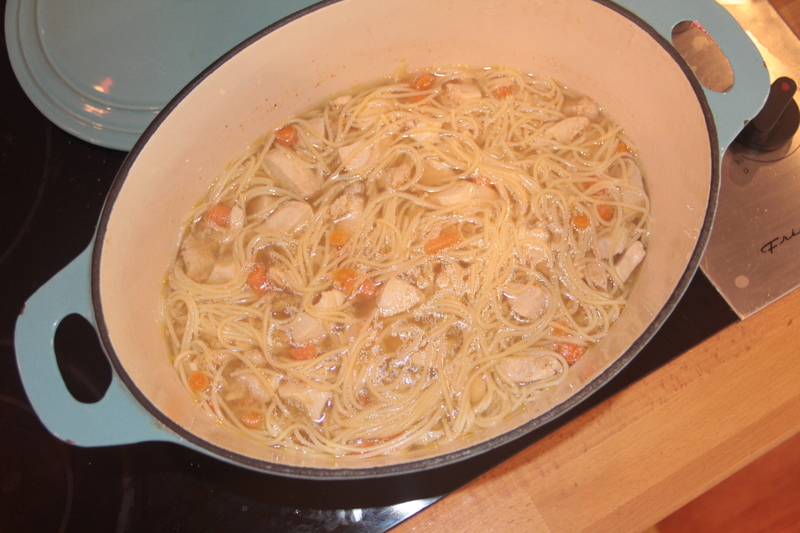 In a large pot or dutch oven combine the 1st 11 ingredients (stop before adding the noodles) bring to a boil and then simmer over low heat until chicken is done about 15 minutes, Add pasta noodles and cook until tender. 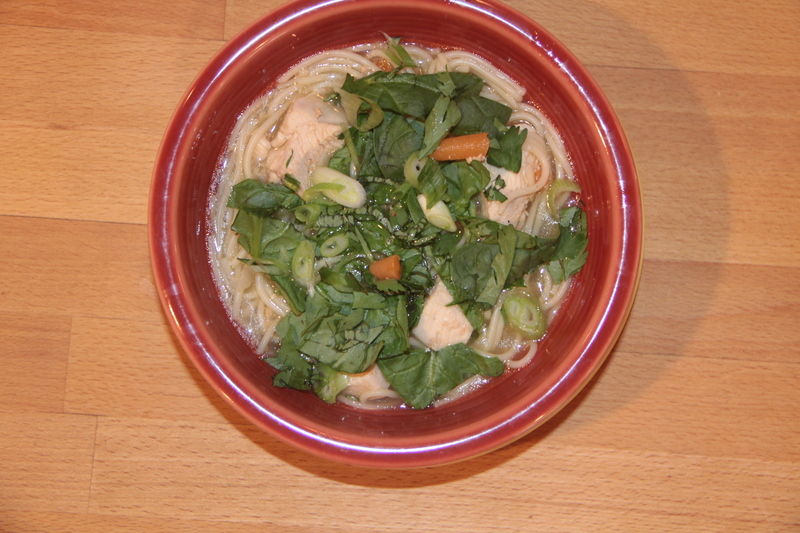 Put soup into bowls and add chopped fresh vegetables and herbs right before eating, the hot soup will wilt them slightly. 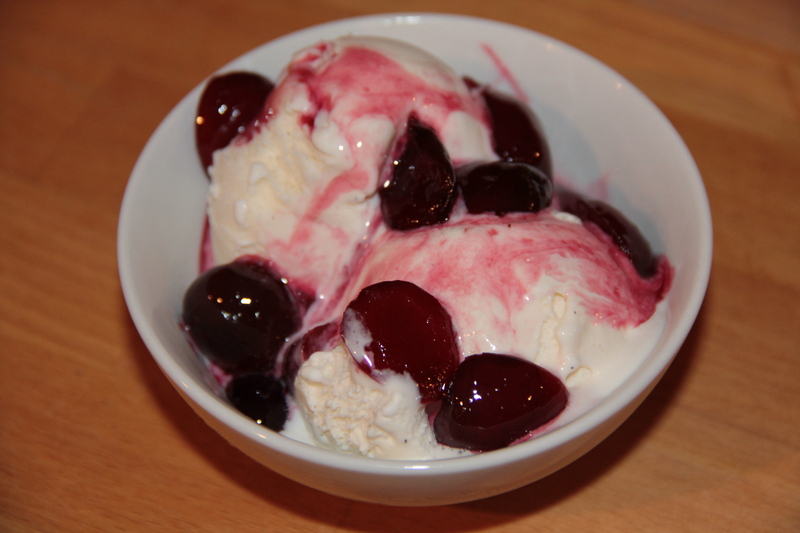 You could use any herbs, sprouts, lime wedges etc… I used what I had on hand and in the garden. This also allows each diner to customize their soup, much like a taco. Stir and enjoy. Oh and by the way Elvis Costello puts on a great show and still sounds amazing.